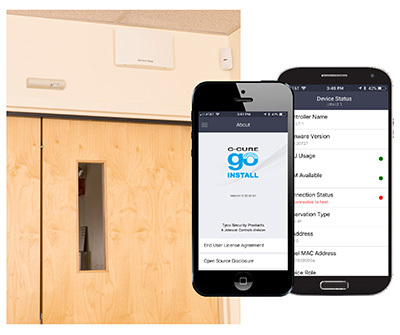 MILWAUKEE (January 8, 2017) – Johnson Controls announces the introduction of the C•CURE Go Install app for use with the Software House iSTAR Ultra LT. The new app provides a more efficient, convenient means of configuring or updating information on the iSTAR Ultra LT controller without having to physically access the unit. The password-protected app works for users within range of the controller, including in-house security staff, integrators or installers. Using the app replaces having to make changes on or check status directly from the controller. For more information on the C•CURE Go Install app for use with the iSTAR Ultra LT, visit http://www.swhouse.com.